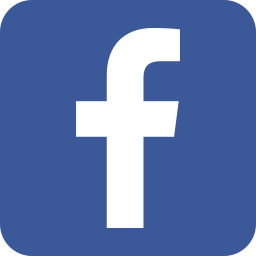 Welcome to another Top Ten Things, here at Enuffa.com, where I rattle off ten things I like (Duh...). 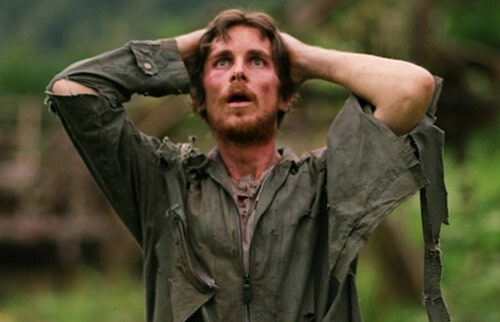 Today I'll be talking about probably my favorite film actor in the world today, the eminently gifted Christian Bale. I first became aware of Bale in 2000 (I'd seen him in a couple films prior to that but had no idea who he was), and from that point I was fascinated by this charismatic, chameleonic actor. For a few years it seemed he'd simply be a cult hero, but starting in 2005 he became a household name playing one of the most iconic characters of all time. Since then his filmography has been a mesmerizing blend of crowd-pleasing blockbusters and smaller, more challenging roles, but the constant throughout has been Bale's complete dedication to the characters he portrays. 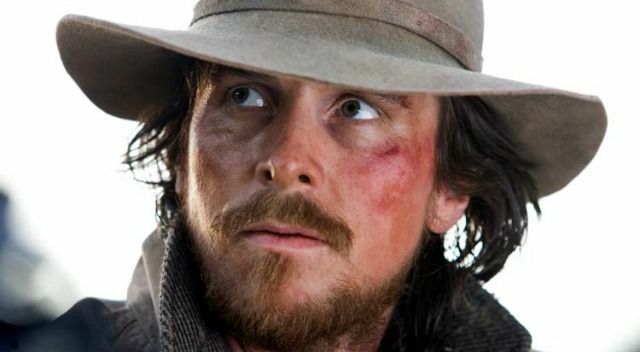 Known for wildly changing his appearance and accent for each role, Bale often becomes unrecognizable from film to film, and for me it makes each new performance an event. This 2007 remake starred Russell Crowe as adventurous, charming outlaw Ben Wade, and Bale in the somewhat thankless role of rancher Dan Evans, deputized to bring him to justice. 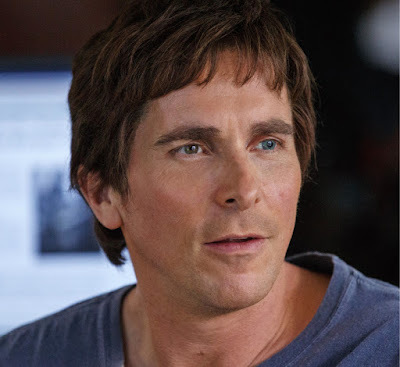 But even as the taciturn protagonist Bale still imbued his character with considerable pathos and we root for him to succeed over the much more outgoing villain. A lesser actor might've played Evans as a morose bore, but Bale's natural onscreen magnetism makes his character an honorable, reluctant hero and an excellent foil for the bankrobbing assassin. Bale's character in Christopher Nolan's period piece makes an unexpected transition from shifty tortured artist to sympathetic protagonist. The Prestige centers around Alfred Borden's professional-turned-personal rivalry with fellow magician Robert Angier (Hugh Jackman), and at the outset Bale's character seems the clear antagonist, seemingly so consumed with his profession that he cannot relate to other people. But as the film progresses we sympathize more with Borden and his ingenieur Fallon, as Angier's obsession with destroying Borden consumes him. Bale adeptly handles this character transition (as well as the surprise double role), manipulating our sympathies with prodigious skill. Incidentally Borden is the only character on this list whom Bale played with anything close to his real Welsh accent. Contributing to Bale's reputation as a chameleon was his Oscar-nominated turn as eccentric investor Michael Burry, the antisocial drumming enthusiast with a glass eye from The Big Short. Much of his screen time in this film was spent behind his desk and on the phone with various colleagues and bankers, but Bale made the character both memorable and amusing, as Burry comes off as the smartest (and weirdest) dude in the room. As the film wears on, Burry goes from a cocksure know-it-all to quietly increasing desperation; the housing bubble he's predicted will burst shows no signs of doing so until after he's lost himself and his colleagues millions. As usual Bale conveys this character arc with a proficient dedication to the character. 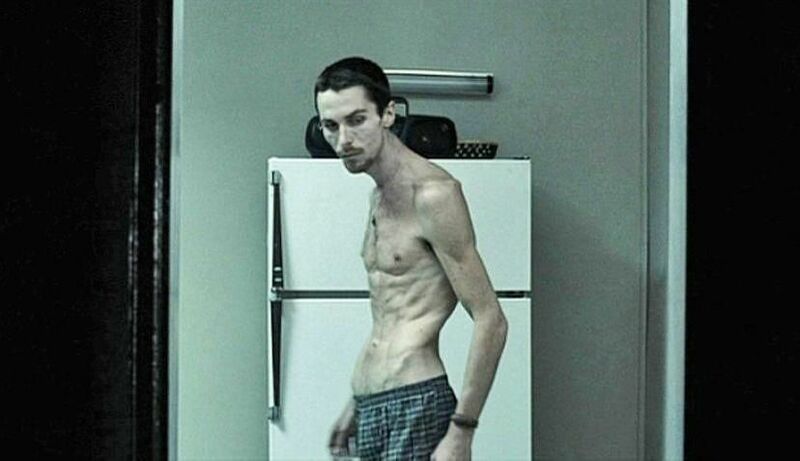 Probably Bale's most infamous performance was as the title character of Brad Anderson's noirish psychological thriller, for which Bale dropped over sixty pounds to achieve a disturbingly gaunt appearance. Trevor Reznik suffers from insomnia and an unexplained sense of guilt, and thus has become an emaciated shell of a man. Bale is onscreen nearly the entire film and his frighteningly thin form mirrors the torment going on inside the mind of the character. It's actually uncomfortable to watch Bale in this movie, so unhealthy is his appearance, and you get the sense that he's suffering both onscreen and off. The Reznik character is pretty unbalanced from the start of the film, but by the end he's become completely unhinged. Amazingly Bale went from losing weight for this film to having to quickly gain it all back (and then some) for Batman Begins. These back-to-back transformations illustrate how deeply committed Bale is to disappearing into his characters. 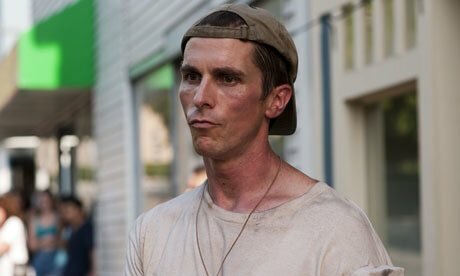 Bale delivered a legitimately frightening performance in Harsh Times, as a former Army Ranger who suffers from PTSD. The character of Jim Davis spends much of the film dragging down his best friend Mike, as the two routinely use drugs and get mixed up in violent encounters. Over the course of the film Jim's PTSD has an increasing effect on him, and he becomes easily enraged and abusive. Bale fully commits to this severely disturbed character and lends him a profoundly unpleasant sense of menace while stripping away all pathos. Watching Harsh Times, I found myself becoming acutely afraid of this character and his unpredictability. 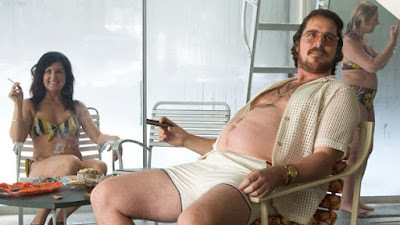 Changing his body type once again, Bale packed on 50 pounds of flab to play frumpy con man Irvin Rosenfeld in David O. Russell's dark comedy. From behind a disastrous combover and sporting a thick New York accent, Bale somehow makes this sleazy trickster a sympathetic character; throughout the film we root for him to get the jump on both the FBI and the mob. He also displays superb-but-different chemistry with both love interests, Amy Adams and Jennifer Lawrence, and brings a self-deprecating, understated charm to the character. This role would nab Bale his second Oscar nomination. Based on true events, Rescue Dawn tells the story of Vietnam War pilot Dieter Dengler, who was shot down over Laos and held in a prison camp for six months before escaping and being rescued. 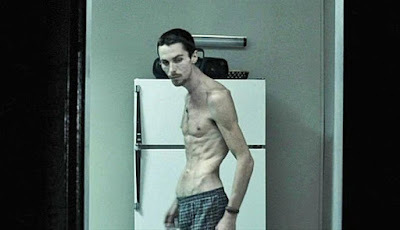 Once again Bale buried himself in the role, both emotionally and physically, and the film was shot in reverse order so the emaciated Bale could gain back his weight gradually for the opening scenes. Performing a delicate balancing act, Bale expertly conveys Dengler's struggle to maintain his humanity and dignity even as his fellow prisoners descend into madness and despair. That both this film and Bale's performance were ignored by the Academy that year is truly baffling. 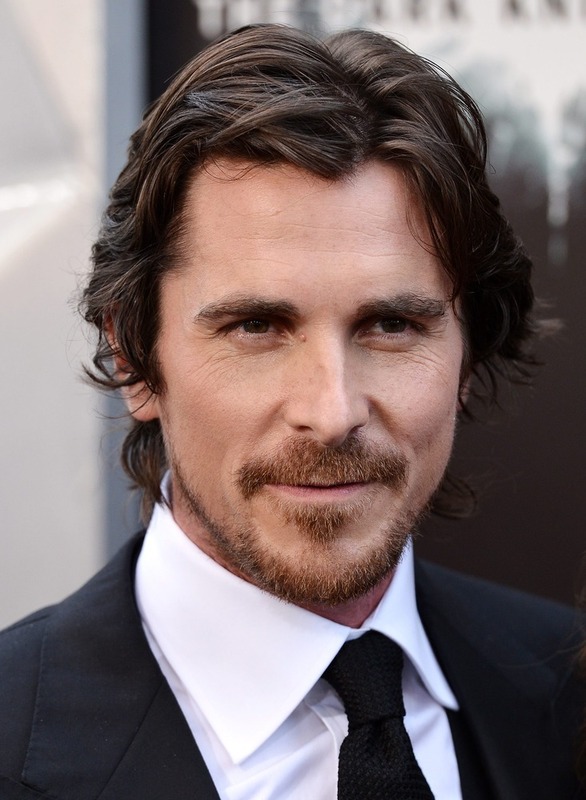 After watching Bale's amazing turn as Patrick Bateman in American Psycho I immediately thought, "This guy has to be the next Batman." Fast-forward three-and-a-half years, and it was announced in the fall of 2003 that I'd be getting my wish. Bale did not disappoint, bringing the dignified angst and outward charisma for Bruce Wayne, and the brute physicality and seething rage of Batman. Of the three Nolan Bat-films, Bale's first turn as the Caped Crusader gave him the most dramatic meat to work with; Batman Begins' primary focus was about how this wealthy son of Gotham was driven to dress up like a winged vigilante and beat up criminals. 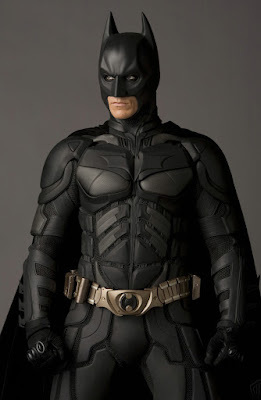 For me, Bale's performance rendered obsolete every previous screen incarnation of Batman, and I don't see any other actor capturing that same kind of magic. Bale's first-ever Oscar nomination and win was for his startlingly frenzied turn as former boxer Dicky Eklund in The Fighter. Eklund is the older half-brother of Mark Wahlberg's Micky Ward, and when we first meet him he is a hopeless crack addict who serves as Micky's trainer and closest advisor. But Eklund is barely comprehensible behind his drug highs and false teeth, and becomes a liability before serving time in prison for assaulting a police officer. Bale delivers a show-stealing performance, once again altering his physical shape to convey Eklund's violent ineptitude, but by the end of the film we actually feel sympathy for the disgraced one-time contender as he puts his life back together. With The Fighter, Bale added yet another career highlight to an already incredible resume. The role that put Christian Bale on the map for many (if not most) of his fans, Patrick Bateman is the murderous "protagonist" of American Psycho. Despite being a loathsome serial killer, Bateman is tremendously charismatic and fascinating to watch, and somehow we don't mind spending a couple hours in the terrifying and materialistic confines of his world. He also manages to make this murderous character hilariously droll at times, with a dryly satirical delivery and a disgusted, snobbish demeanor. It was this role that made me want to see Bale cast as Bruce Wayne; he brought the right mix of handsome charm and suppressed rage that illustrated how perfect he'd be as The Dark Knight. 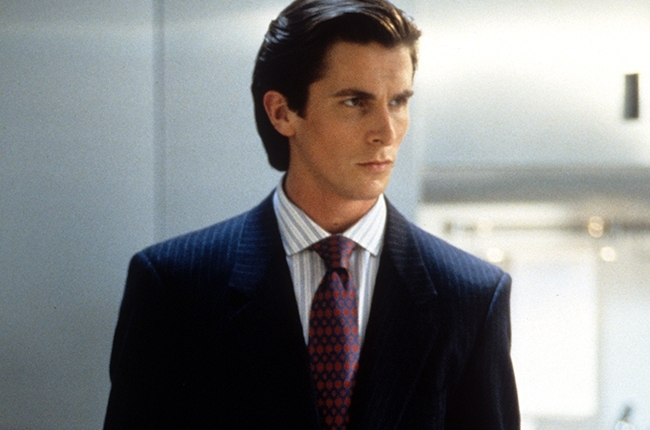 That Bale was snubbed by the Academy for American Psycho is astounding to me - this was easily the performance of the year, and it remains my favorite Christian Bale role.